1.) I cannot open any Xamarin related project under VS2013. 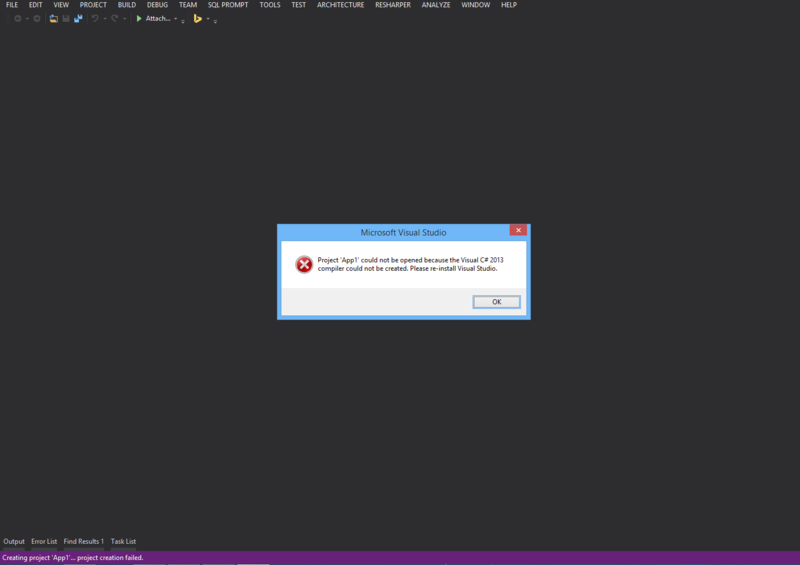 I get an error message that tells me to reinstall VS2013. The solution then simply exits. 2.) I can open a preexisting VS2013 project (non-xamarin) but get this error message: "Project could not be opened because the Visual C# 2013 compiler could not be created." 3.) All syntax highlighting is disabled, everything is now white. This is Visual Studio 2013 with latest updates, Windows 8.1, and Resharper is installed as well if that helps. At the moment I cannot use Xamarin because I can't even create a project. I have repaired VS2013, reinstalled VS2013, reinstalled Xamarin, disabled Resharper, I don't know what it is. Has anyone else had this issue? Suggestions? 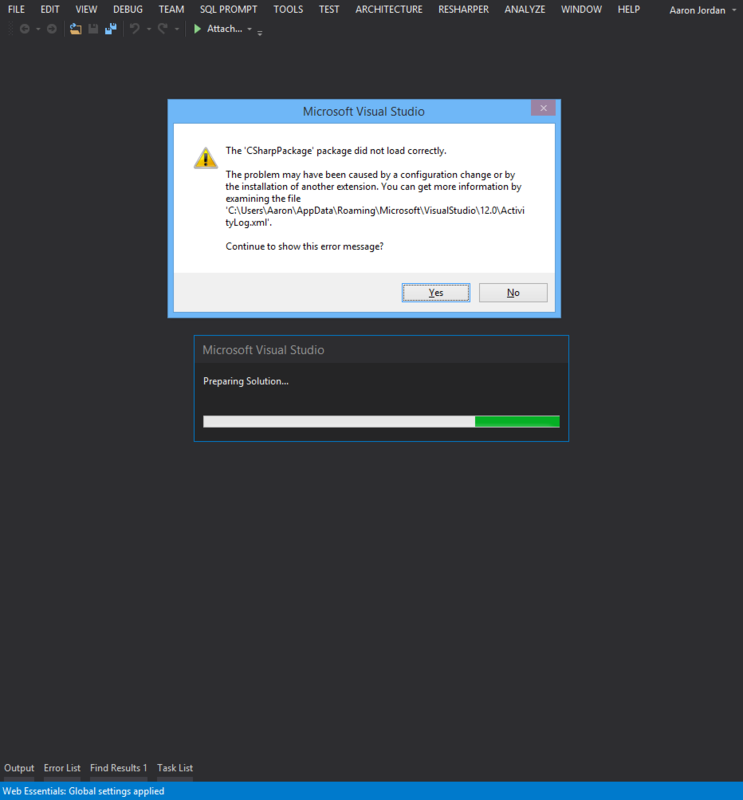 This has been resolved by disabling Roslyn Preview in Extensions and Updates in VS2013.